Indian media firms have experienced one of the worst years at the stock markets. 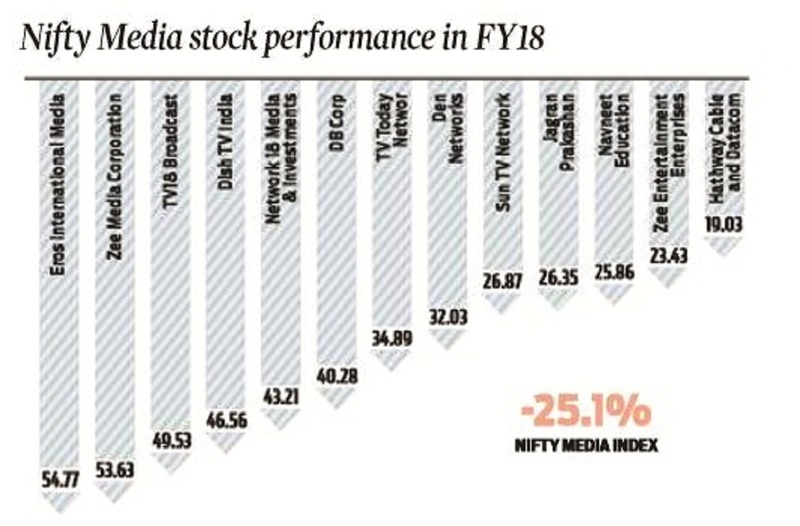 In the financial year 2018-19 (FY19), the Nifty Media Index recorded a 25 percent fall in value—the worst since FY09 when the Index recorded a nearly 60 percent decline. Of the 15 stocks covered on the Index, 13 saw a significant fall in share values, and two—Eros International Media and Zee Media Corporation—have recorded an over 50 percent fall in value. Other stocks fell from between 19 percent (Hathway Cable and Datacom) to 49 percent (TV18 Broadcast Ltd.) The Essel Group-owned Zee firms figure prominently on the losers list. While share values have recovered slightly post announcements from the Group’s founder Subhash Chandra that it has entered into pacts with its lenders to not sell any pledged shares until September 29, the Group has been looking to sell stakes to overseas investors to raise funds. The media index took a hit due to a nosedive in advertisement revenue. According to an Elara Capital research note, media firms were hit due to the implementation of the new tariff order issued by TRAI, which led to large-scale disruption in the TV sector during the quarter. “… ad spend was held back on implementation of TRAI tariff order which impacted viewership share of most channels,” the firm said. TV channels are hoping the advertising blitz by political parties for the general election will make up for some of the losses. It came as a shock to 39 journalists of Surya Samachar news channel when they received a mail from the HR department stating that March 31 would be their last working day. It was not a termination letter but the subject said, “Disassociation with the company”. No reason was given in the letter. Most journalists had joined the channel barely a month ago because a big and credible name of Hindi journalism, Punya Prasun Bajpai, was joining as Editor-in-Chief. 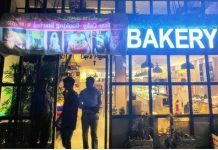 The owner of the channel, a businessman who deals in bakery products with the brand name Priyagold, has a reputation of hiring and firing journalists. Most of the earlier editors-in-chief had tenures of just 3-6 months. Sources say that after hiring Bajpai, the owner started thinking of getting a ticket to fight the Lok Sabha elections. Rejected by the BSP and the Congress, he approached the BJP. Sources say, the BJP did not agree to give him a ticket, but assured him of compensation if he removed Bajpai. And the rest is history, or it was suryast (sunset) for Bajpai and his team. The Shekhar Gupta owned The Print has just lost one of its brightest stars, Manish Chhibber, Editor, Investigations, who has been regularly breaking stories for the online portal. 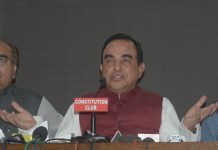 Chhibber had worked closely with Gupta when the latter was editor-in-chief of The Indian Express and the two have a good working relationship. However, something seems to have soured the scene with Chhibber quitting last week to join, curiously enough, Tiranga TV where he has been designated as editorial head. He will be part of the news channel’s core team and will head the editorial team at the channel. Tiranga TV is owned by Congress stalwart Kapil Sibal and also has daily news shows anchored by Karan Thapar and Barkha Dutt. Chhibber has covered the law ministry and the courts extensively during his career which may explain his proximity to Sibal. Even then, it seems a risky career move unless circumstances forced his hand. The Information & Broadcasting Ministry is in a fix over the recently launched TV channel NaMo TV. A 24-hour channel dedicated to the prime minister’s campaign speeches, it has raised some serious questions with the Election Commission writing to the I&B ministry asking for clarity on whether permission to launch such a channel was sought or allowed. The EC was reacting to complaints sent to it by the Congress as well as the Aam Aadmi Party. 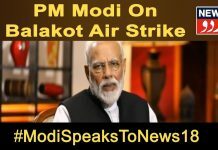 Launched on March 31, NaMo TV is devoted to the coverage of PM Modi’s speeches and rallies, with both the BJP and Modi having promoted it on social media, though there’s no clarity on who owns the channel. In their letter to the EC, opposition parties say that no official permission was taken and that it violates the code of a “level playing field” for all political parties. The channel is available on all major Direct to Home platforms. The Aam Aadmi Party has also asked the EC if permission can be granted to a party to have its own TV channel even after the model code of conduct has been enforced.